Benedetto Giacomo Marcello (1686 – 1739) was an Italian composer, writer, advocate, magistrate, and teacher. Born in Venice, Benedetto Marcello was a member of a noble family and his compositions are frequently referred to as Patrizio Veneto. Although he was a music student of Antonio Lotti and Francesco Gasparini, his father wanted Benedetto to devote himself to law. Benedetto managed to combine a life in law and public service with one in music. In 1711 he was appointed a member of the Council of Forty (in Venice's central government), and in 1730 he went to Pola as Provveditore (district governor). Due to his health having been "impaired by the climate" of Istria, Marcello retired after eight years to Brescia in the capacity of Camerlengo where he died of tuberculosis in 1739. Benedetto Marcello was the brother of Alessandro Marcello, also a notable composer. On 20 May 1728 Benedetto Marcello married his singing student Rosanna Scalfi in a secret ceremony. However, as a nobleman his marriage to a commoner was unlawful and after Marcello's death the marriage was declared null by the state. Rosanna was unable to inherit his estate, and filed suit in 1742 against Benedetto's brother Alessandro Marcello, seeking financial support. Marcello composed a variety of music including considerable church music, oratorios, hundreds of solo cantatas, duets, sonatas, concertos and sinfonias. Marcello was a younger contemporary of Antonio Vivaldi in Venice and his instrumental music enjoys a Vivaldian flavor. As a composer, Marcello was best known in his lifetime and is now still best remembered for his Estro poetico-armonico (Venice, 1724–1727), a musical setting for voices, figured bass (a continuo notation), and occasional solo instruments, of the first fifty Psalms, as paraphrased in Italian by his friend G. Giustiniani. They were much admired by Charles Avison, who with John Garth brought out an edition with English words (London, 1757). 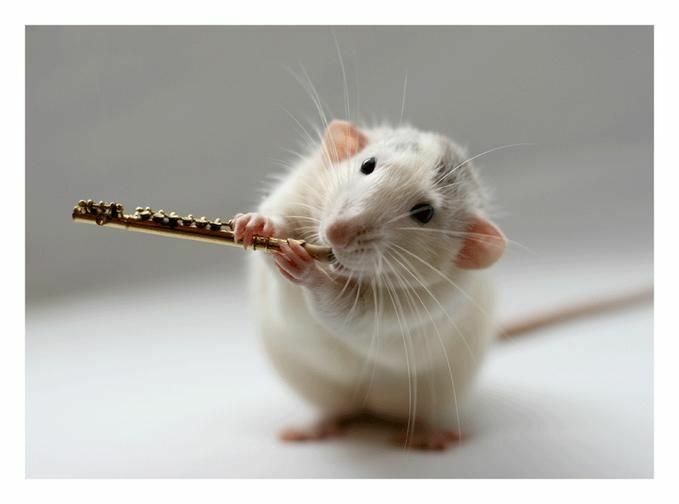 The Flute Sonata (Opus 2 No. 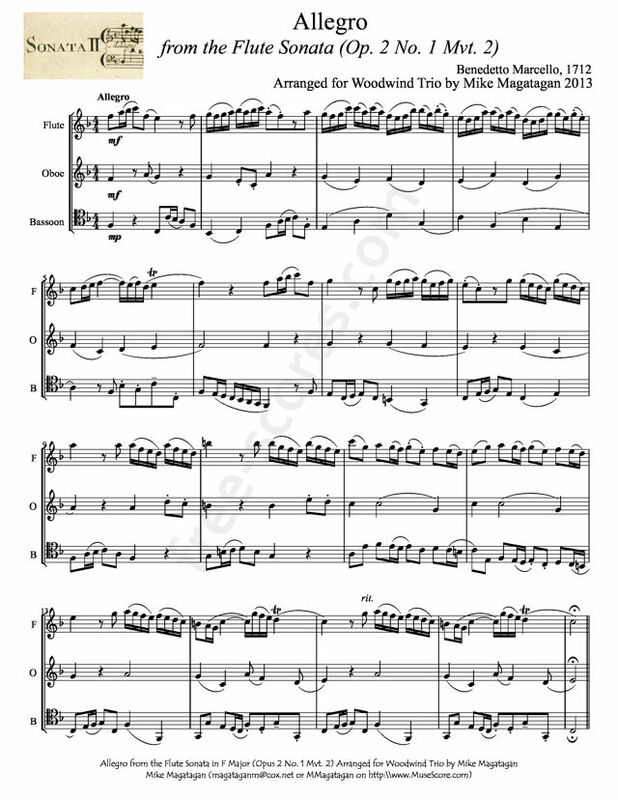 1) was originally written for Recorder and Basso Continuo however, I created this arrangement of the Allegro (Mvt. 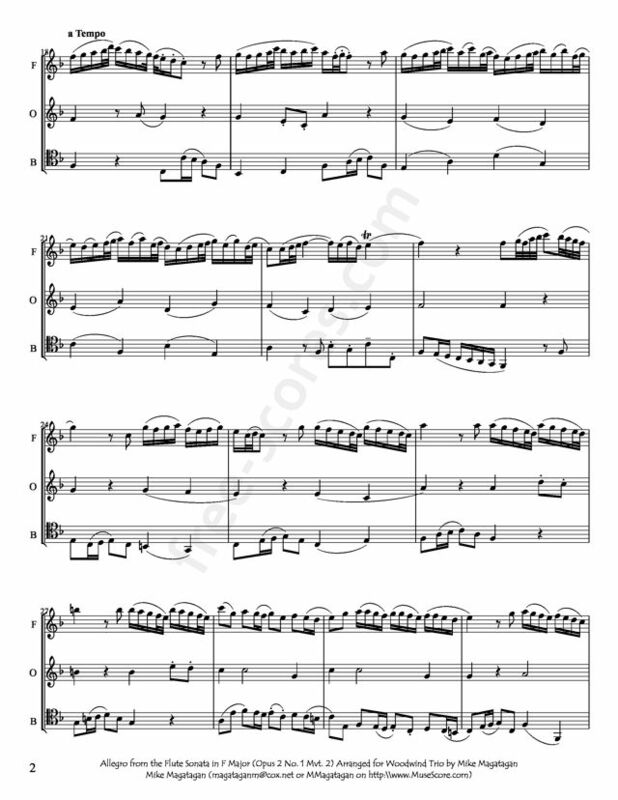 2) for Woodwind Trio (Flute, Oboe, & Bassoon). 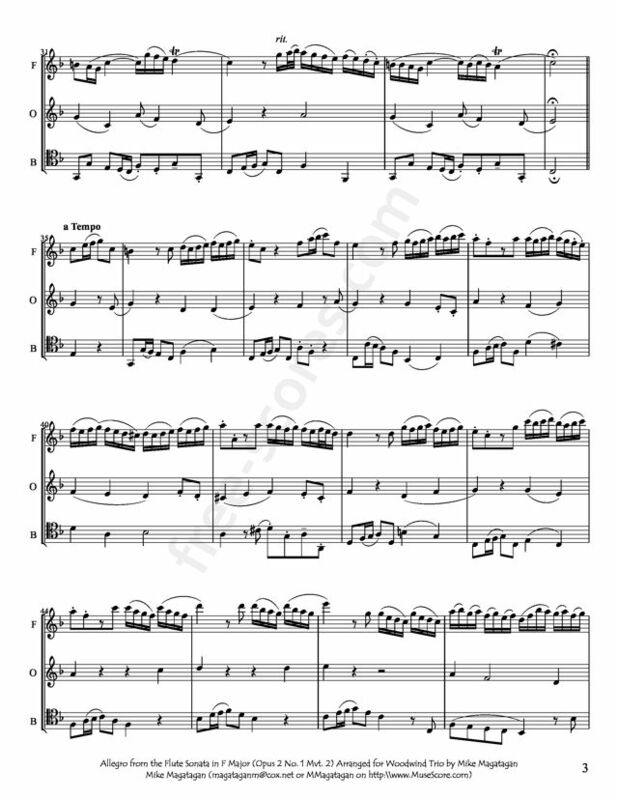 4 scores found for "Allegro from the Flute Sonata for Woodwind Trio"